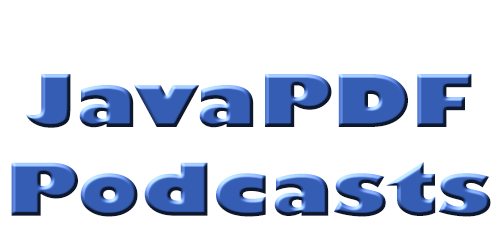 Welcome to part two of a ongoing Java PDF Podcast series. If you haven’t heard our previous podcast you can learn more about it here. Java PDF Podcasts continues to look at Interviews. In our second Interview we talk to Sophia Matarazzo, one of our Java Developers working on the JPedal Java PDF Library and also a marketing executive at IDR Solutions. Its Sophia’s first time so we learn a little about her, get a few insights learn what she has been working on and also find out what Sophia’s Interview experiences were like and what advice she has to offer to others. Download the Podcast (5.24 minutes) to listen offline, when your busy or when your on the move.